1. 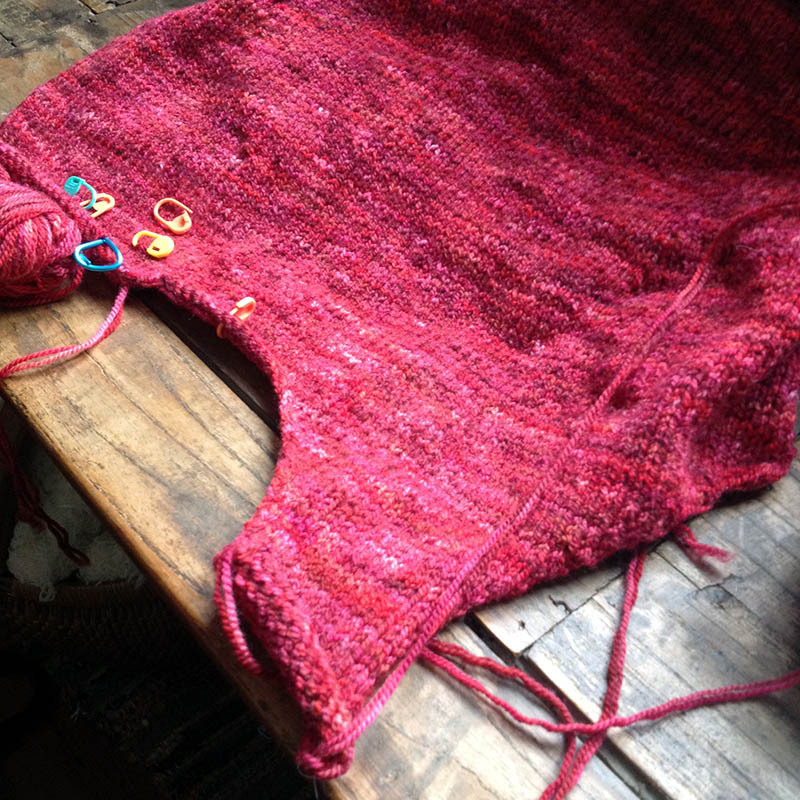 CustomFit Sweater vest from makewearlove in Infinite Twist Helix: coming along! I've divided for the sleeve and neck shaping. 2. Prairie Ridge Shawl: After discovering that this project wasn't moving forward because knitting at night with dark brown yarn is no fun, progress! 3. Corazon: About to cast on! I'm helping Shokay run a knit-a-long for these mittens. If you'd like to join in, please join the ravelry group! 4. It's true - I've totally been holding out on you. This is the basket of yarn for projects I haven't even started yet. There are also several boxes of yarn waiting to become kit samples. Sigh.